UFO sightings have been a regular occurrence since time out of mind, and one of the most popular UFO events in the last century happened in Phoenix, Arizona. Famously referred to as the “Phoenix Lights,” the UFO sighting, which happened in 1997, was reportedly witnessed by thousands of people. Twenty years since the incident, veteran Hollywood actor Kurt Russell finally opened up about being a witness to the event. And he was no regular witness, either. He didn’t see the alleged UFO from the ground looking up, he saw it from behind the cockpit of the private aircraft he was flying. Kurt Russell got the opportunity to talk about his UFO experience in an interview with BBC One’s The One Show,where he promoted Guardians of the Galaxy, Vol. 2 alongside co-star Chris Pratt, as reported by Open Minds. The interview took an interesting turn when host Gyles Brandret pulled out a folder with the letters “Top Secret” written on it. In reading the folder’s contents, Brandret told a story about an unidentified pilot who was flying a private plane with his son near the Phoenix airport. The unnamed pilot reportedly called the control tower to report that they saw six mysterious lights. The control tower promptly responded, saying that they hadn’t detected any planes in the area. Pratt, who affected an incredulous look on his face throughout the account, admitted that he was a skeptic when it comes to UFO sightings. Kurt Russell, on the other hand, has been wearing a mischievous grin all along. And then out of nowhere, Russell, 66, said that he and his son Oliver Hudson (Goldie Hawn’s son from her first marriage) flew a private aircraft from Los Angeles to Phoenix in 1995 so that he could take Oliver to see his girlfriend. “We were on approach and I saw six lights over the airport in absolute uniform, in a V-shape,” Kurt continues. Russell recalled that Hudson asked him if he knew what the lights were. When he said that he didn’t know, they contacted the control tower, who said that their radar didn’t find anything. Russell and his son then decided that they may have witnessed a UFO sighting. The two never made mention of the UFO sighting again after they landed, at least until two years later, when Kurt came home one day to see Hudson watching a TV show reporting on a UFO sighting that occurred in Phoenix. “That was the most viewed UFO event. Over 20,000 people saw it,” Russell added. 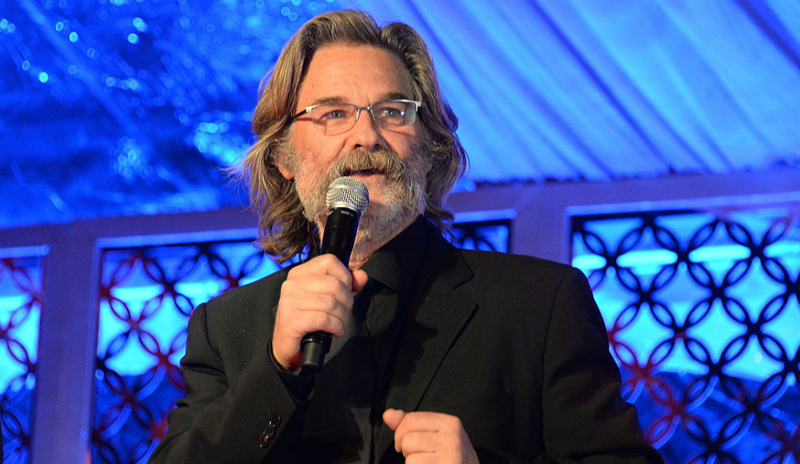 Kurt Russell recalled feeling like “Richard Dreyfuss from Close Encounters” while watching the show, and his suspicion was confirmed when the show mentioned that an unnamed general aviation pilot reported the UFO sighting to a control tower upon landing. “That was me,” Kurt remembered thinking to himself. Russell then checked his log books, proving without a shadow of a doubt that his flight happened at the time of the popular UFO event. “The fascinating part to me is that it just went, literally, out of my head. Oliver never mentioned it. Had I not seen that show, I would have never thought of it. That, to me, was the weird part,” he said. The “Phoenix Lights” incident remains to be one of the most talked about UFO sightings even two decades later, according to Fox 10. The event has spawned a plethora of theories as to what could have caused the strange lights to appear in the sky that night. For two decades, skeptics and believers debated over the light’s origins. Even to this day the “Phoenix Lights” incident remains a mystery.